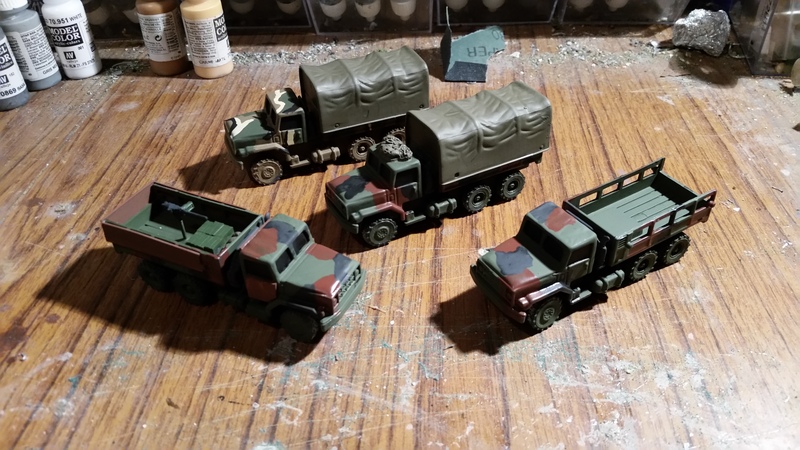 US Gun trucks- a work in progress. Ages ago I bought 4 toy trucks from one of the Pound shops in town; they bear an uncanny resembalance to the US M939 6 by 6 truck. I thoughht I’d do a recap of my earlier posts and bring things together. A few other gamers on forums I visit had also bought lots of them too- noticing like many cheap toy vehicles the wheels are the weakest part of the kit; this inspired Sand S models to do a replacement wheel set. I ordered enough replacement wheels for the trucks I had bought (at this point I wished I had bought considerably more of them) and propmtly stashed them in the shed a semi- forgot about them. Recently I was having a clear up in there and found the box again, so after several months delay I got round to making them up. A big inspiration in my project was this rather nice photo book: http://www.tankograd.com/cms/website.php?id=/en/index/publikationen/american_spezial/gun_trucks_irak.htm I can definately recommed it if you fancy trying something similar yourself. 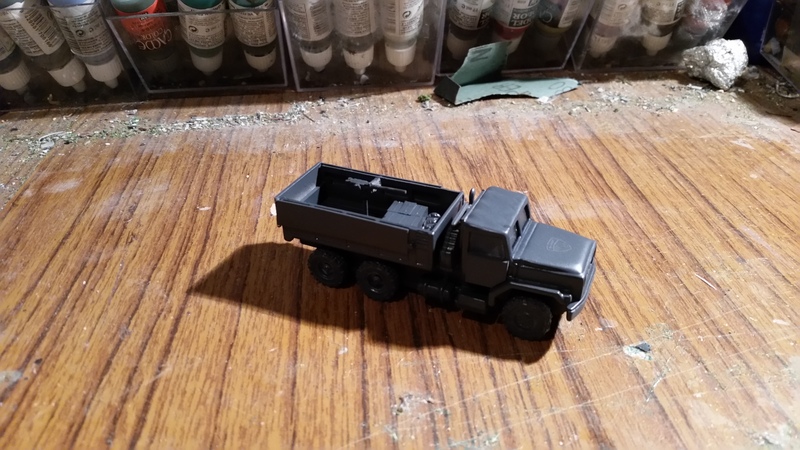 The basic truck with the tilt removed and the replacement white metal wheels addded. 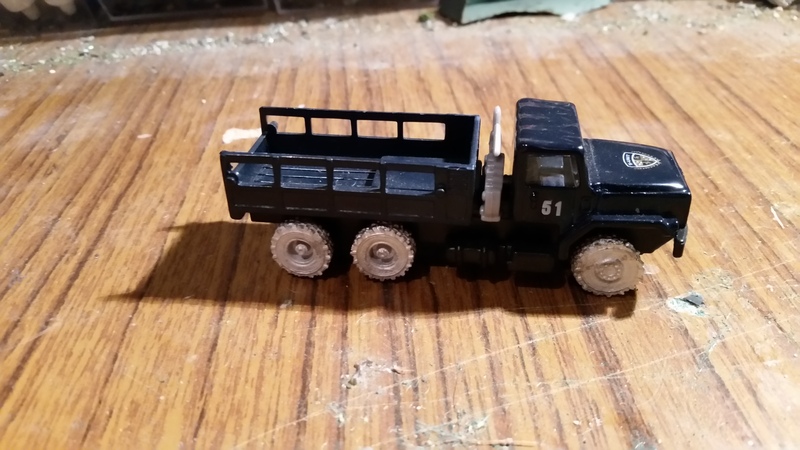 The gun truck was converted witha spare .50 cal Machine Gun I had in the spares box as well as pieces of plasticard to represent the add on armour plates. The basic paint jobs. 3 were painted in NATO 3 colour camo, the last in a MERDC scheme (which according to my photo references could still be seen in Iraq in 2003). The next post should see them finished…. Cheers, Pete.